College Students Can Now Get 50% Off Tickets For 2019! Your first chance to watch FC Tucson at home is just under a month away! 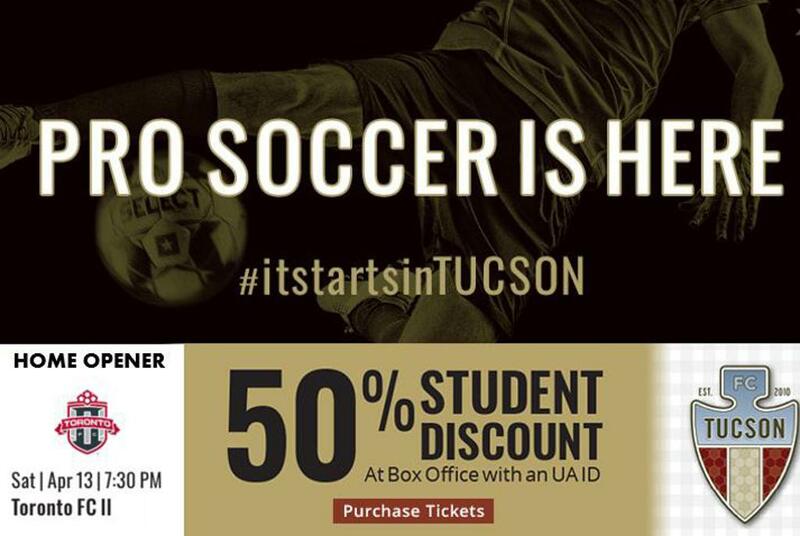 University of Arizona and Pima Community College students now have the ability to purchase single match tickets for 50% off. Provide your student ID at the ticket box to receive your discounted ticket.